Caterham Domiciliary Care Agency (CDCA) always respects your privacy. We believe that your privacy, dignity, wants and needs are the most important things. We want you to know what we do with the information that you give us as we believe that you cannot develop a relationship without trust. CDCA strives to ensure the privacy and accuracy of your personal and confidential information. Any personal information you provide to us including and similar to your name, address, telephone number and e-mail address will not be released, sold, or rented to any individuals outside of CDCA. At our discretion, we may disclose personal information when the law requires it or in the event we believe it is necessary for the protection of our legal rights. We operate in full accordance with the Data Protection Act 1998. All CDCA employees understand the importance of following the Data Protection Act 1998. All CDCA employees understand the discretion and high levels of security in all functions that deal with consumer information. Our staff can provide you with transport to and from medical appointments, for shopping or on outings. This will be charged at an agreed rate of 40p per mile. For medical appointments, travelling and waiting time for staff will be charged at the normal hourly rate. We must have at least 24 hours’ notice if you wish to use this service. If public transport is required, all transport costs must be paid for by you. When on outings with staff, an agreed food and drink allowance will be made of £8, unless an alternative amount is agreed on the day at your discretion. All requirements for care must be booked in with the office with at least one weeks’ notice given, in order for us to be able to accommodate for all care requirements. We must be given a minimum of 24 hours’ notice to cancel a care call. If 24 hours’ notice is not received then you will be charged for the call at the normal rate, unless agreed otherwise. If you choose to send the carer home before the end of the shift then you will still be charged for the remainder of the call. If extra hours are required, please give at least 48 hours’ notice. These will be charged at the normal agreed rate. If one of our Carers is not able to, or fails to attend your call for whatever reason, we will endeavour to organise for an alternative Carer to attend as soon as possible. If we are not able to fulfil the call, you will not be charged. All articles written herein solely belong to us. All pages on this web site are the property of CDCA, you may not otherwise copy or transmit the contents of this website either electronically or in hard copies. You may not alter the content of this website in any manner. We reserve the right to remove blog posts, paid articles, guest posts, advertorials, sponsored adverts or banners at any time. Invoices will be issued during the first week of the month for the previous months care. Invoices will be sent to you via your preferred method of communication (post, email, fax etc.). Invoices are payable by cheque as well as a BACS transfer, details of this are on the bottom of your invoice. Should you wish to terminate the Care Package then 28 days’ notice will be required, and all fees are payable during the notice period. This may be shortened depending on the circumstances. In the event that we terminate the Care Package, we reserve the right to give 28 days’ notice only. If any of our staff are subjected to verbal or physical abuse from you or any member of your family, we reserve the right to terminate the Care Package with immediate effect. 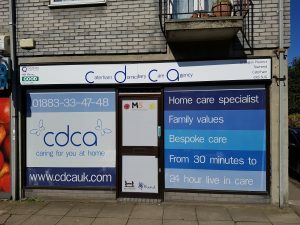 The intention of Caterham Domiciliary Care Agency’s (CDCA’s) Blog is to provide information for discussion and research. 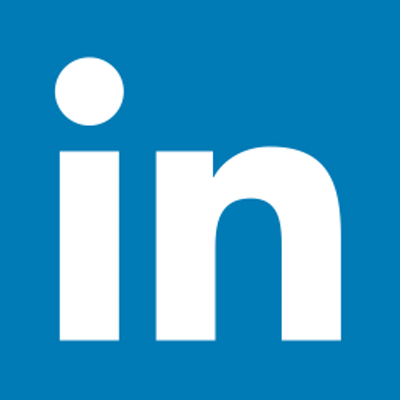 We welcome your feedback whenever possible, articles and comments. CDCA reserves the copyright and shall have the sole discretion to delete, edit any contribution that we consider inappropriate, inaccurate, illegal, defamatory, obscene, threatening, invasive of privacy, infringing of intellectual property or other rights, injurious, objectionable, or otherwise in violation of the terms mentioned below, which may be modified from time to time. As soon as any article is added to www.cdcauk.com, the copyright of the articles transfers to CDCA. While we do our best to protect your personal information, we cannot guarantee the security of any information that you pass to CDCA and you are solely responsible for maintaining the secrecy of any passwords or other account information. In addition other Internet sites or services that may be accessible through CDCA have separate data and privacy practices independent of us and therefore we disclaim any responsibility or liability for their policies or actions. Please contact those vendors and others directly if you have any questions about their privacy policies. The blogs/ articles do not intend to pro­duce or repro­duce any kind of explicit or implicit copyrighted mate­r­ial. If you find any blog post or com­ment that vio­late your copy­rights, do let us know and we ensure that we will remove such content. If you are interested in using the contents of this website in any manner please ask, or if you have any information you would like to put forward we are always happy to take a look. In no event shall CDCA be liable for any special, supplementary, indirect or consequential damages of any kind arising out of or in connection with the use of information posted on the CDCA blog or other material copied from the Blog. Statements on this site do not represent the views of anyone other than those writing the posts, nor do views expressed in comments reflect the views of any authors of posts or of the Editors, CDCA, or registered administrators.